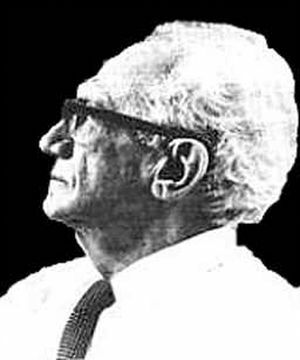 “Many of Velikovsky’s assailants, it is clear, would explain and excuse their words and deeds on the ground that they were dealing with something on a par with the flat-earth theory, or a geocentric theory of the solar system. One hostile review, for example, was headed “Copernicus, who was he?” It should have been evident to the most superficial reader that Velikovsky’s theory is not on a par with such things. But the main point is rather that if it were, this would make the scientists’ reaction harder to explain, not easier. There would have been no need for the book to be noticed at all. “One fact that I have no doubt played some part in determining the scientists’ reaction is that Velikovsky is an amateur, a “downtowner”. The importance of this circumstance can be appreciated only by those who know what feelings the university department of ___________ entertains in most cases for the downtown Society for _________, and especially for its more eccentric adherents. “There are certain observations I want to make which are quite independent of the question whether Velikovsky’s theory is true. “First, on the reception of the theory, and the light this throws on the intellectual and moral quality of contemporary science, and contemporary life. “Consider how different the reception of Velikovsky’s work would have been if it had been Christian fundamentalism, say, or fashionable French metaphysical anthropology. Or psychoanalysis; suppose Velikovsky had interpreted the folklore of catastrophe as distortions of infantile or intrauterine experience. Of course it would have gone down smooth as silk! You could get degrees in it by now. Think about that. “Consider, again, how different the reception would have been if Velikovsky had produced a work of literature. Who can imagine science professors conspiring to suppress an avant-garde play or novel, however vicious or insane its contents? Far from it, they would be scandalized by any such attempt at censorship, and would rally to the author’s aid. You think about that! C. P. Snow was wildly wrong here: scientists have not succumbed less than the rest, but if anything more, to the aesthetic propaganda of the present century. The treatment accorded to Velikovsky is one of the pleasant fringe-benefits we get from 50 years of popular preaching in praise of art. “Second, some brief observations arising from the theory itself, but still independent of its truth.